The new MULE SX two-wheel drive enjoys updates in terms of function and convenience. Kawasaki PRO styling is underpinned by new suspension settings, reconfigured dashboard layout and a tilting steering wheel. Allied to the dependable OHV 410cc engine, a 181kg load and 500kg towing capacity, the new MULE SX 2WD delivers a knockout punch. The perfect partner for countless livery yards, market gardens, farming and demanding municipal environments, the MULE SX with its automotive driving layout and ROPS protection is a lightweight UV. A tight turning circle, great load and towing capacities, tipping load bed and low impact tyres make this a sure fire winner. 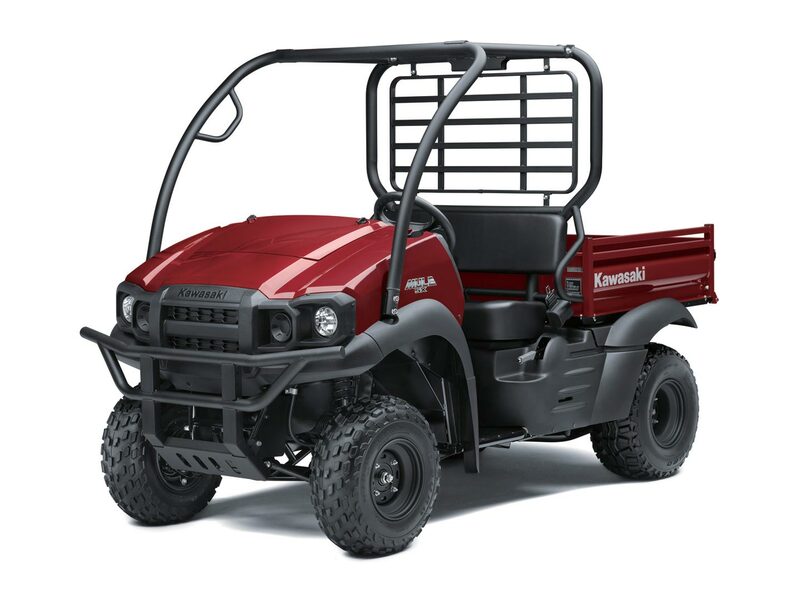 Mule SX models come with a lockable rear differential, which is designed to allow the rear wheels to have equal transfer of power to improve traction. Kawasaki says ground disturbance is minimal when the rear axle is unlocked. Ground clearance is 6.1 inches on the SX two-wheel drive models.